Already a few months ago I bought this shot tops flavor infusers with the intention to bake one day the perfect cupcake for a special occasion. 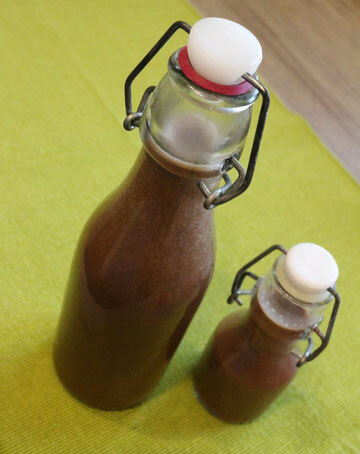 I was thinking a long time for what combination to use it and never found a really good idea till I came over a recipe for homemade chocolate liqueur. 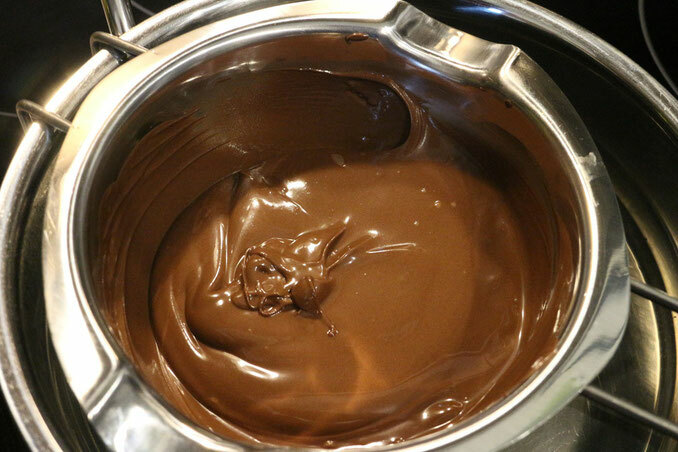 This matches perfectly with chocolate cupcakes topped with white chocolate frosting. I worried a lot if the liqueur might run out of the infusers before serving the cupcakes, because I needed to store them for a while but in the end, it was not a problem at all. The first thing to do is the cupcakes itself. I decided to bake some mini and some normal sized chocolate cupcakes to try a little around and be able the serve them as set. I used the same batter for both of them. 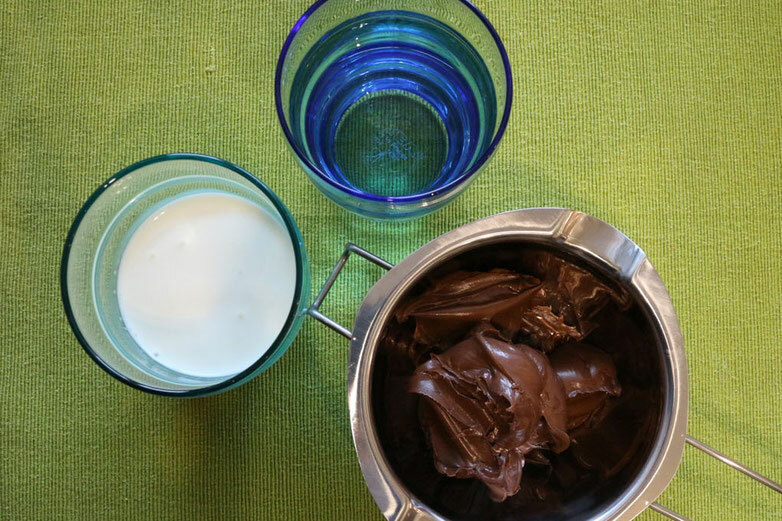 If you like, you can prepare the chocolate liqueur already a day before, but it's so easy to make, you can even make it while the cupcakes are in the oven. As ingrediencies you need 200g nougat spread, 200ml cream and 150ml vodka. 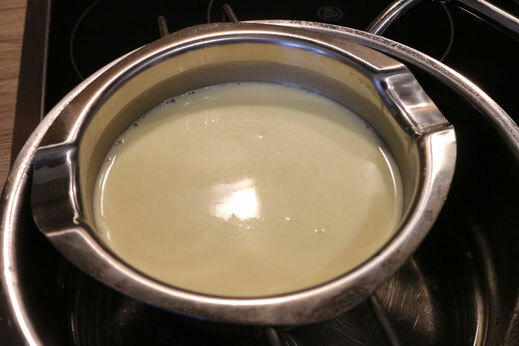 Melt the nougat spread over hot water and mix the cream into it as soon as the spread is melted completely. Fill the mixture together with the vodka into a bottle and mix it. Now you can cool it till the cupcakes are finished. 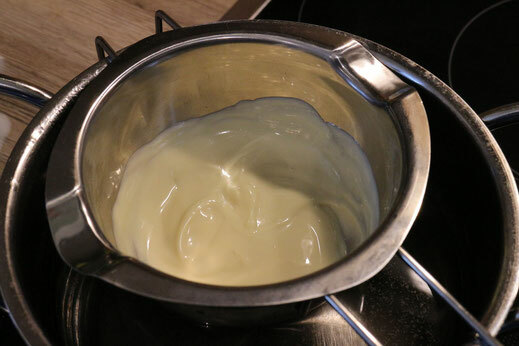 Fot the white chocolate frosting you need to melt 200g of white chocolate over hot water and mix it together with 400g of cream. As you have to let this cool down completely in the fridge before you can whippe the cream, it's better to prepare this already a few hours before you want to finish your cupcakes. 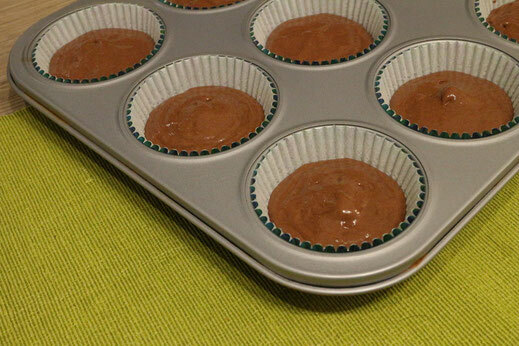 After the three parts of your cupcakes are prepared and cooled down you can start to assembly them. First you decorate the cupcakes whit the whipped white chocolate frosting. I decided to use a Wilton Tip 1M to pipe a rosette shape. 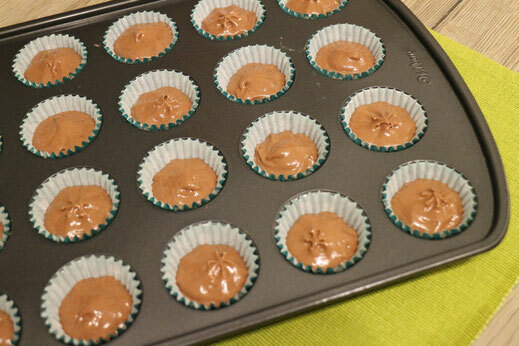 For the rosette, you need to start on the inside of the cupcakes and work your way to the outside. 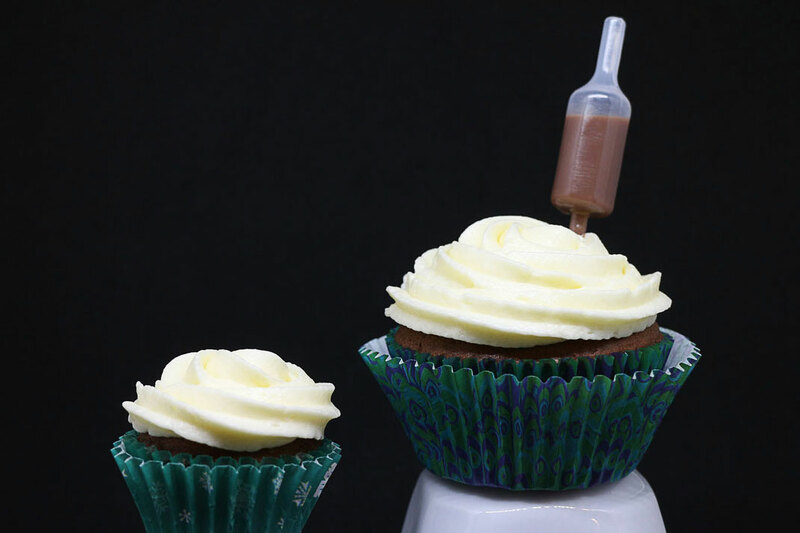 The rosette leads to a medium high cupcake and gives you space to place the infuser. 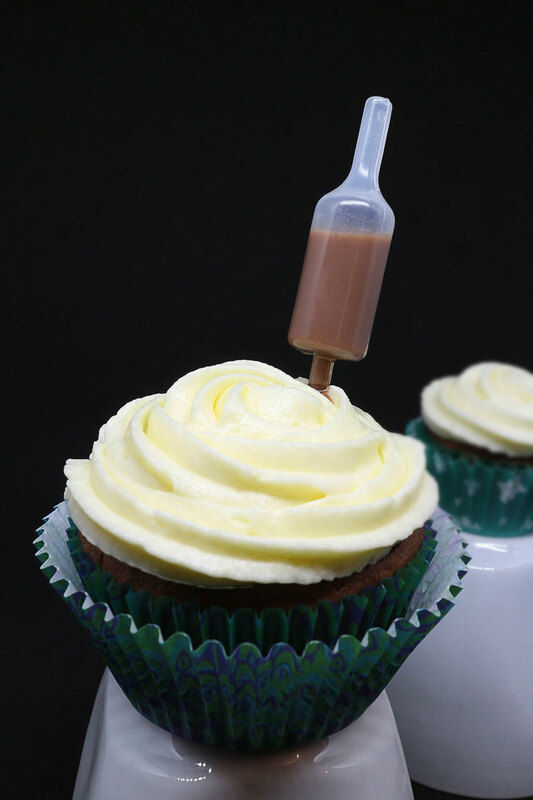 But before you can put your infuser on the cupcake you need to fill them with your homemade chocolate liqueur. Be carefully to keep the infuser always straight to not have the liqueur run to the very top and get stuck. Press the infuser nearly completely together and put the bottom tip into your liqueur. Now let the liqueur get sucked into the infuser and place it quickly on your cupcake.